The Beatles music set the pop rock standard for most of the 1960's. 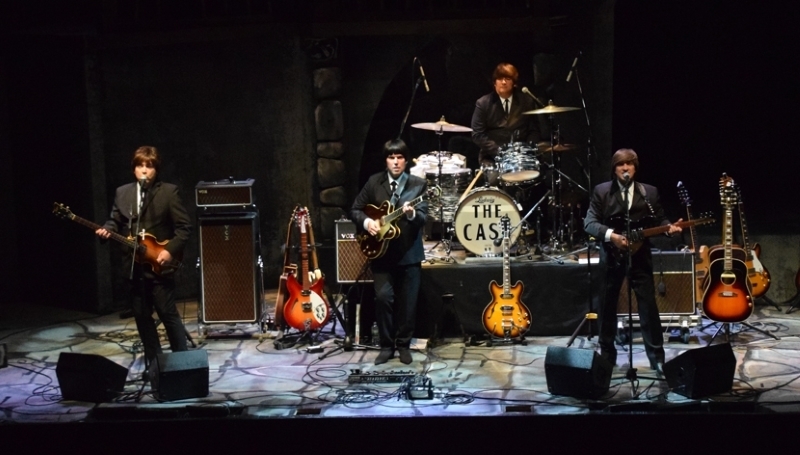 Now, in the 2000's, The "Cast" of Beatlemania recalls the memories of that exciting era when the Fab Four ruled the world of rock 'n' roll. In the early 1960's, The Beatles not only became a musical force but a sociological entity as well. Their hair, clothes and humor all contributed to their amazing impact. Probably the most celebrated of rock groups, The Beatles dominated rock music from the early 1960's until they formally disbanded in 1970. Originally inspired by such U.S. performers as Elvis Presley, Chuck Berry and Buddy Holly, The Beatles recaptured most of the freshness and excitement of the earliest days of rock 'n' roll. Even today, The Beatles remain universally popular in a music culture that thrives on look-alike and sound-alike bands. They were and remain unique in time through the artistry and talents of The "Cast" of Beatlemania. Copyright © The Cast 2017. All Rights Reserved. Not endorsed by or affiliated with Apple Corps Limited. RJ Design.